Speak up, stand up and say intimate partner abuse has no place in your community. CORA’s annual SpeakUp! 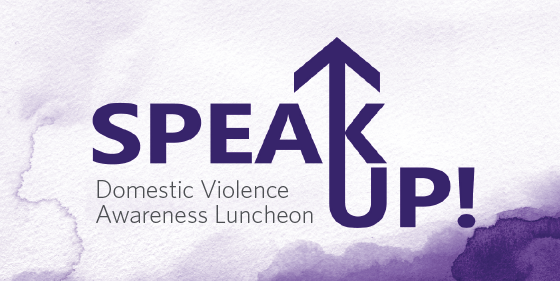 Luncheon brings the community together to recognize the effect of intimate partner abuse on our community and to raise voices in support of our friends and neighbors experiencing abuse. This year’s speaker, Susan Still, speaks on behalf of those whose lives have been impacted by intimate partner abuse. She is a survivor of 24 years of abuse by her former husband, Ulner Still. Their case is unique, as in December 2004 Justice John F. O’Donnell handed Ulner Still a 36-year sentence, a landmark for New York State, as the longest sentence given for the crime of intimate partner abuse where the victim survived. Instrumental in the conviction was a video he had one of their children film while he was abusing her. Join us for a conversation with one of the premiere figures in the movement to end intimate partner abuse.